"We’re not even pretenders to the throne. We meet, and we dream. And then we try and work out how to stitch and play and scribble and beat our dreams into things that can be seen and touched and heard. We dare to dream of better times. Of times that are less obsessed with money, with image, with things that simply – when all is stripped away – do not matter." They also have a rather fantastic debut album Not Kings that's one of our favourites of the year. Candy Says were formed out of the ashes of Little Fish, a band signed to a major label and which flirted on the edge of a breakthrough then took a step back, disillusioned with the games and machinery of the industry. There's no pretence to this record, it doesn't care that it's such a hotchpotch of ideas, often within the same song, often within the same verse, to the point that its patchwork framework is what makes it an utterly brilliant record, even if you think it's almost always on the brink of falling spectacularly apart. 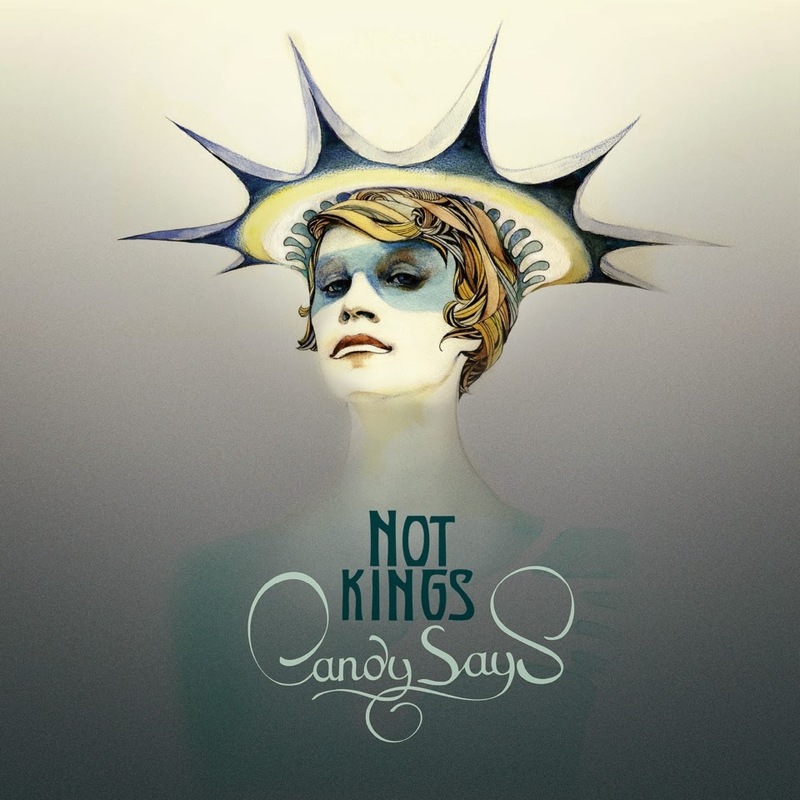 &amp;amp;lt;a href="http://candysays.bandcamp.com/album/not-kings"&amp;amp;gt;Not Kings by Candy Says&amp;amp;lt;/a&amp;amp;gt; It was recorded in a garage at singer JuJu and multi-instrumentalist Ben's house in Oxford, but doesn't betray its lo-fi creation (there are two cds of Garage Recordings and a live cd on their band camp to satisfy those cravings). There are huge slices of delicious electro-pop with the previous two singles Favourite Flavour and Kiss Kill, but this approach is continued in Lord's Mistake and stand-out track Melt In To The Sun, with its threat of "1-2-3-4 I'm going to come knocking on your door." However, they're not a one-trick pony. C'est pas comme ca is a widescreen epic which wouldn't be out of place in a sixties romantic classic and it's sung mostly in French. Hummingbird is a simple and delightfully understated piece, slowing to almost a whisper mid-song. Dreamers mixes spoken-word sections over a pulsating beat in the verses before JuJu shows off the range of her voice in the chorus. Chad is a dreamy electronic tribute to one member of a Californian band Dark Furs with all sorts of interesting diverse instrumentation going on in the breakdowns. Dead On Arrival has a slightly menacing feel to it, underpinned by an electronic backing that feels both simple in its execution but at the same time complex and unsettling in tone. Understand The Night starts with verses in French and the chorus in English and finishes with a refrain "I'm looking at your shoes, but I'm thinking about your eyes." Cool Sensation is the lushest four minutes of loved-up dream-pop ("it's such a new sensation, someone knows who I am") with its call and response vocals and the echo on JuJu's voice in the chorus. Last track, Camilla, builds to an unashamed singalong chorus of "you only ever call me up, Camilla, when you feel alone". It's a record that doesn't have a set identity or a theme because it doesn't need one or want one. It has the mark of a band that is making music for the sake of making music rather than to make a career out of it. There are nods to all different types of genres and eras of music yet it all makes perfect sense as possibly the ultimate pop record you won't be afraid to admit you own this year. Candy Says' website can be found here. The album, along with previous releases, is available from their Bandcamp page. They are also on Facebook and Twitter.